Here are five top escapes to add a different flavour to your London visit. What celebrated wit Samuel Johnson said in the eighteenth century is still true today. But after a few days in any major tourist city, it makes sense to mix things up with a day-trip out of town. It might seem a crazy idea but now that you can reach the French capital by Eurostar train in just over two hours, travelling at 300 kilometres per hour, a day-trip is eminently possible. You can have a full English breakfast on the train and pause for mid-morning croissants when you arrive before dropping into the Louvre or Musée d’Orsay to see some priceless art. Then enjoy a lingering French lunch, complete with a glass or two of wine, before spending the afternoon at the exciting Pompidou Centre or meandering around Montmartre. You’ll still be back in London in time for a warm pint! Fast 1 Eurostar trains leave from the new St Pancras terminal in the heart of London. 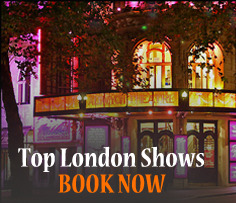 Heading west from London, you can reach this genteel, historic city in just 90 minutes by train from Paddington. As a World Heritage site, with over 5000 of its buildings protected, Bath has more than enough attractions for a full day-trip. Its main drawcard is the astonishingly well-preserved Roman baths, fed by Britain’s only natural hot springs and giving an intriguing insight into life 2000 years ago. The city is also noted for its splendid Georgian architecture, with the Royal Crescent, a curving street of Regency mansions, the finest example and famous for its connection with writer Jane Austen, who lived in Bath during its early nineteenth-century heyday. With many specialist and antique shops squirreled away among its narrow lanes, Bath is also great for shopping. Finally, if you’re worn out by sightseeing, book into the brand new Thermae Bath spa, taking advantage of the same springs that drew the Romans. Windsor’s proximity to London and magnificent eleventh-century castle, which crowns the hill above the elegant riverside town, make it an excellent day-trip. In fact, there is so much to see within the grounds of the fortress, from the grand state rooms where the Queen hosts state banquets through to its priceless art collection and the changing of the guard in summer, that you could spend a day visiting just that. But Windsor has at least 10 other historic sights, including the Christopher-Wren-designed Guildhall and Eton College, founded in 1440, where Princes William and Harry were educated. Windsor’s other great attraction is its location on the River Thames. From Windsor Bridge you can take a short boat trip or stroll along the towpath and soon reach open countryside. Back in town, Windsor’s riverside restaurants and pubs are very inviting, especially on summer evenings. Trains run regularly to Windsor Central from London Paddington, journey time 35 minutes. Okay, Brighton’s pebbly beaches and grey seas can’t compare with our own beautiful coastline. But if you are feeling boxed in by landlocked London, Brighton is the best option for a seaside antidote. These days it is an increasingly refined city in its own right, with a flourishing arts scene, including an Artists Quarter where you can buy locally-produced paintings and crafts and European-style pavement cafes galore. Clear the cobwebs by heading first to the revamped seafront for a stroll along the promenade (check out the elaborate Victorian lampposts) and visiting the famous pleasure pier. Brighton was recently named best city to eat in outside London in the Remy Martin restaurant awards, so make sure you have time for lunch or an early dinner somewhere like the Gourmet Fish and Chip Company at the marina. The one attraction you simply cannot miss is the Royal Pavilion, an outlandish fusion of Indian, Chinese, Russian and Gothic architecture and interior design and possibly Britain’s most beautiful building. Built for the young George IV in the late eighteenth century, this is an intensely opulent, atmospheric place where the royal would host 36-course dinners for visiting dignitaries. With trains travelling back to Victoria (journey time one hour) until late, you’ll still have time before heading back to London to visit the collection of little shops in the Lanes, behind the seafront, and to enjoy a taste of Brighton’s thriving nightlife. Aptly nicknamed “city of dreaming spires” because of the ancient university that dominates it, Oxford simply drips with tradition and history, with many of its colleges dating back 700 years. The city is also compact and ideal for walking around. Many colleges are free to enter, so it is easy to get a feel of how idyllic it must be to study here. The grounds of the central New College, off Hollywell Street, are among the most captivating, especially in summer, with their neatly trimmed lawns, flowers and internal cloisters. But other colleges like Trinity and Magdalene, which has its own deer park, are also lovely and surprisingly expansive. Oxford also has some outstanding museums, including the Ashmolean, which has a large collection of art and archaeological artefacts. No visit to Oxford would be complete without a go at punting — pushing a long narrow boat down one of the city’s rivers, the Cherwell or the Isis, using a long pole. Finally, quench your thirst in an atmospheric pub like The Bear, dating to 1242 and one of the oldest inns in England. 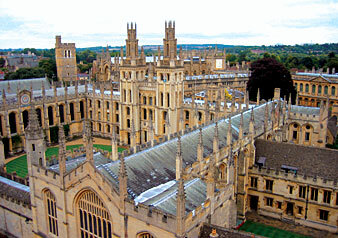 Oxford is 50 minutes by train from London Paddington. 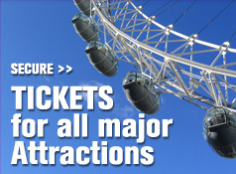 Posted on July 26, 2012, in Coach Trips, London 2012, London attractions, Sightseeing Tours, Stonehenge and Bath Tours, Things to see and do, Travel Tips, UK Sightseeing. Bookmark the permalink. Leave a comment.